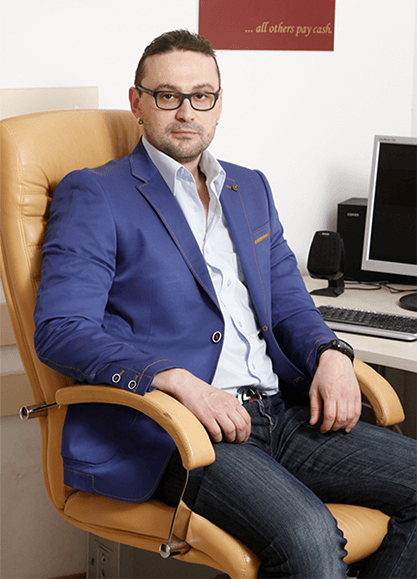 He is an oral surgeon and implantologist who is one of the most popular specialists in his country. D-r Goranov is very often on TV programs as a guest and consultant for newspapers/magazines with a lot of scientific publications. Alex is a certified lecturer and opinion leader for Dentsply Implants and has helped plenty of students and dentists on their successful path of dental implantology. He runs his private chain of dental clinics in Sofia, the capital of Bulgaria and Petrich,close to the Greek border. He also works as a main oral surgeon in The Dental Hospital Blagoevgrad, Bulgaria. D-r Goranov does mostly esthetic restorative dentistry and many of Bulgarian pop stars could thank him for their bright smiles. Alex likes football and is keen on all kinds of sports. Swims every day also does jogging very often. You can meet him at the gym or with friends on a Friday night out for a pint.